A few facts and figures about the PDSA, the largest veterinary charity in the UK and some useful telephone numbers. You can also keep up to date with the latest news. Animal welfare covers a wide range and even a quick search around the Internet will produce any number of websites dealing with animal rescue, pet rehoming, animal health issues and other related subjects. Please take a few minutes to read about PDSA, the UK's largest veterinary charity. If you want to find out more about PDSA, click on their logo further down the page, to go to their official website. Fundraising through Catsup's online shop and local initiatives continues. On 13th August, brothers Philip and Paul Bremner begin a fundraising trek in Brazil. PDSA has launched it's ninth annual PetCheck tour taking to the road with its mobile PetCheck vehicles, offering fee health checks to dogs, as well as general pet care advice. Did you know there is now a PDSA "VISA" Credit Card? PDSA will receive £4 for every new PDSA MBNA credit card account opened and a contribution of 0.25% on outstanding retail balances on the PDSA card every quarter. Please consider transferring to a PDSA credit card. Balance transfers will attract just 1.9% APR for six months from the date the account is opened. The card has no annual fee and includes free fraud protection, including internet transactions. If you're interested, phone Freephone 0800 062 062 to apply. FACTS AND FIGURES TO MAKE YOU STOP AND THINK! PDSA provides free veterinary treatment for the sick and injured pets of owners who receive help with their housing costs - either Housing Benefit or Council Tax Benefit. There are currently in the region of 5.8 million households in Britain that fulfil these eligibility criteria. At the start of 2004, just over 4 million of them(70%) were served either by a PDSAPetAid hospital or by a PDSA PetAid practice. There are 43 PDSA PetAid Hospitals across Great Britain staffed by over 200 veterinary surgeons and 270 veterinary nurses. In addition, there are 328 PDSA PetAid practices and 5 PDSA PetAid branches. PDSA PetAid Hospitals provide treatment 24 hours a day, 365 days a year. Daily, 4,650 pets are treated, free of charge. 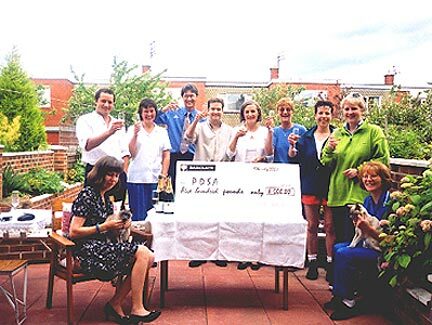 In 2005 the Newcastle upon Tyne PDSA PetAid Hospital alone carried out 38,378 treatments. The Gateshead Hospital carried out 42,509. Each PDSA PetAid Hospital costs around £500,000 ($900,000) a year to run. PDSA receives no state aid. It is entirely dependant upon contributions. There are currently in excess of 4,800 registered volunteers.